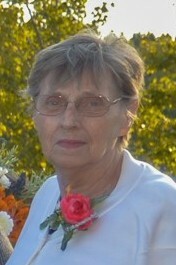 Janet Kay Sheeley, 76 of Wabasha, passed away Wednesday, February 6, 2019, in Wabasha, MN. Janet was born April 6, 1942, in Austin, MN, the daughter of Henry and Elvira DeVries. She enjoyed spending time on her grandparent’s farm in Austin while she was growing up. She met her husband; Darrell and the couple were united in marriage. Initially living in the Twin Cities, they then moved to Wabasha in 1976, where they resided for the remainder of the time. She is survived by her husband Darrell; three children: Lynn; Darren (Cindy) all of Wabasha; and Mike (Gwen), Nelson, WI; four grandchildren: Alexis, Dylan, Tim and Jessica; and a great granddaughter Monroe. She is also survived by three nieces: Jill (Todd) Anderson, Jayne (Pete) Gjervold, and Jennelle (Jason) Goodrie. She was preceded in death by her parents, sister and brother-in-law Karen and Vern Ferguson. Following Janet’s wishes, there will be no memorial service.